 Best physics based driving game ever made! Get to know the game that defies physics and, at the same time, keeps you entertained for hours and is deeply addictive as you won't be able to stop trying to exceed your own score and performance. 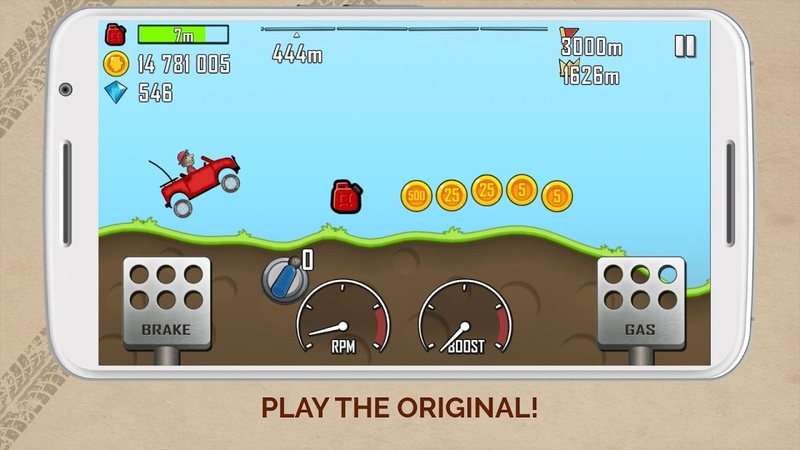 Hill Climb Racing brings you Newton Bill as the main character, who is an aspiring uphill racer embarking on a journey to places unknown to him. Entirely for free, once you download the game you'll have to get Newton Bill through his challenges, which include several different environments and cars. You can't rest until he has conquered the highest hill up on the moon. To do so, you have access to bonuses, which you get by completing daring tricks and you can collect coins to improve your car and go even higher. Be sure Newton Bill doesn't run out of fuel and keep him safe: watch out for his neck. 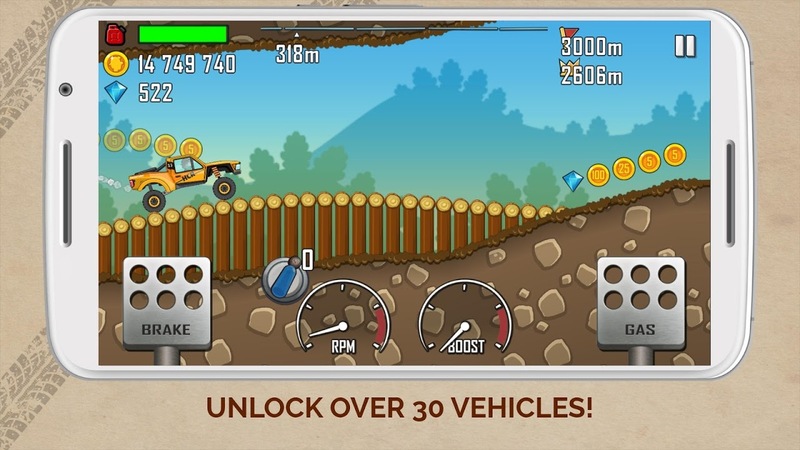 Hill Climb Racing has multiple vehicles for you to choose from, such as bikes, trucks, jeeps, among many others and it brings you many levels for you to surpass in different environments which include the Countryside, the Desert, the Artic and the Moon. Designed to showcase beautiful graphics and transitions, the game looks good in both high and low quality resolution devices. You can upgrade the cars' different parts (engine, suspension, tires, etc) and, if you upgrade your engine you'll get real turbo sounds to further improve your gaming experience. Download the game now and share your scores with your friends by taking a screenshot.  Is Hill Climb Racing yours? Claim it!